This sculpture is a stock of pink sandstone blocks arranged in courses around a core. The surfaces have been closely worked by hand to create the sense of an ascending spiral throughout the column. 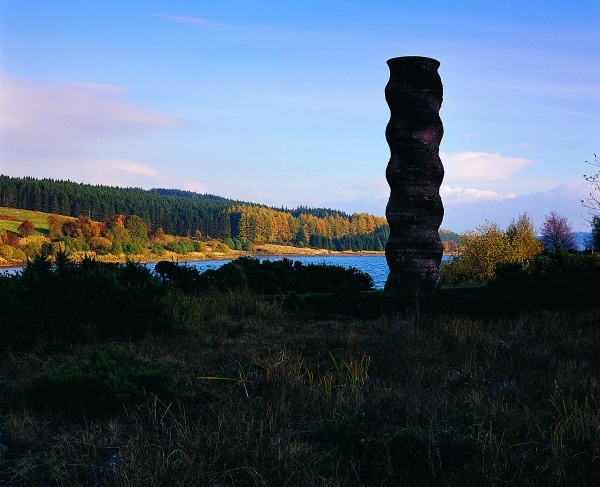 Kielder Column was commissioned in 1990 for the Gateshead Garden Festival and re-erected at Bakethin Weir in 1999.